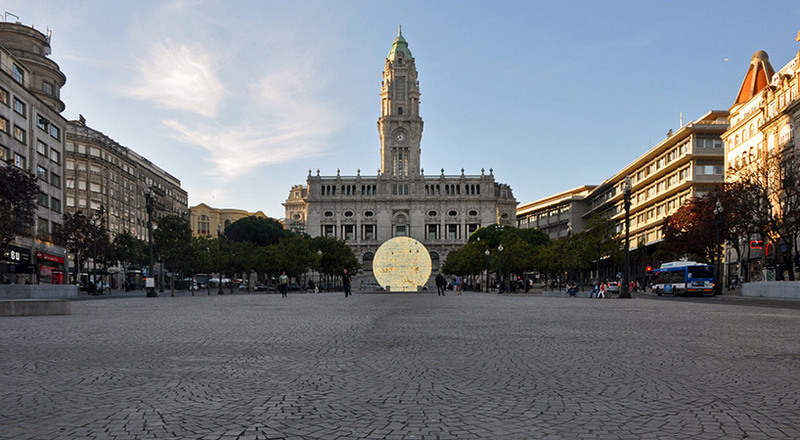 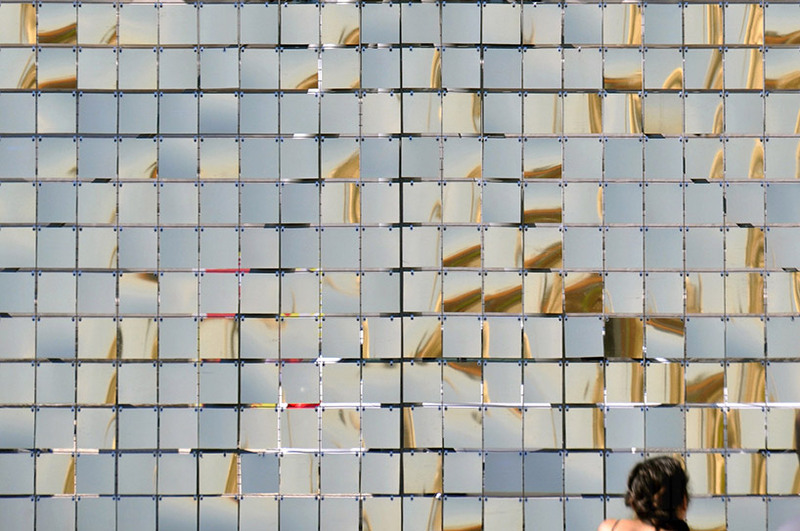 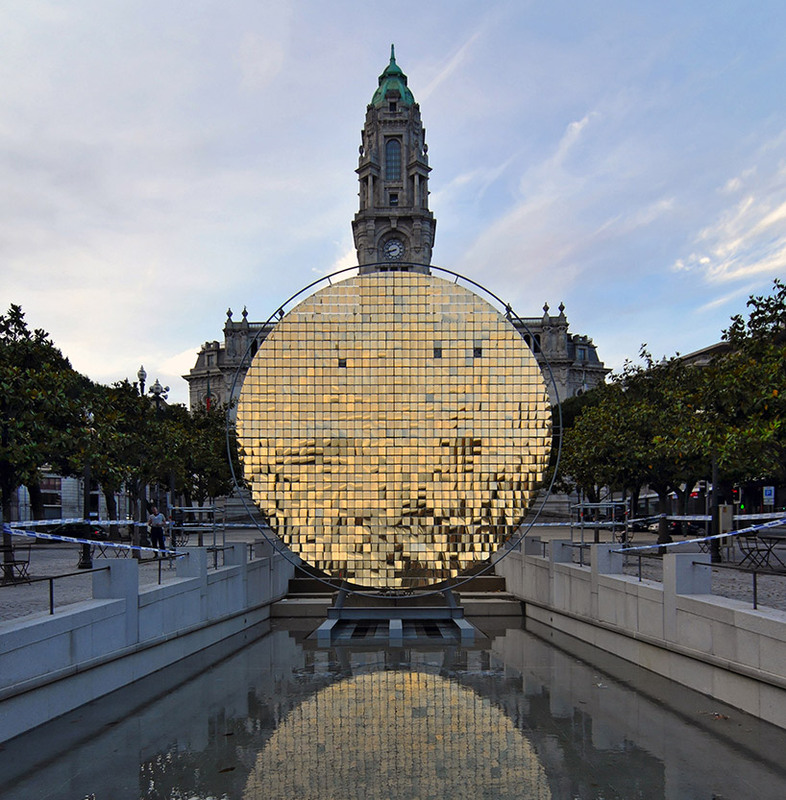 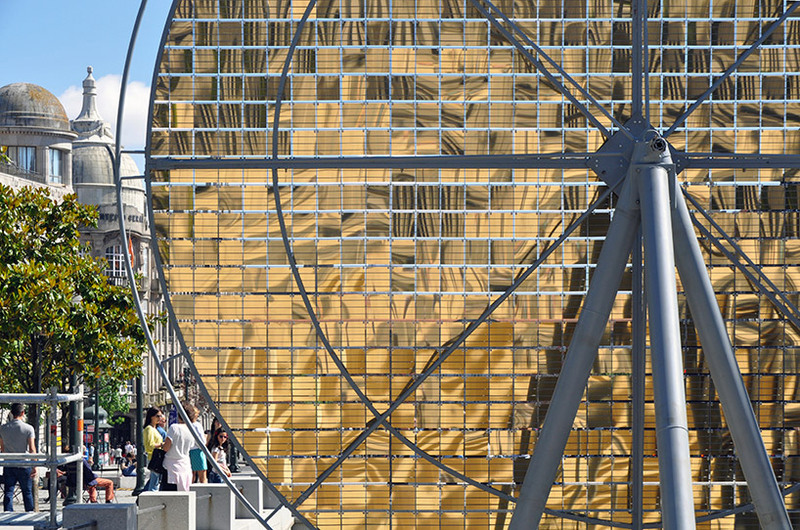 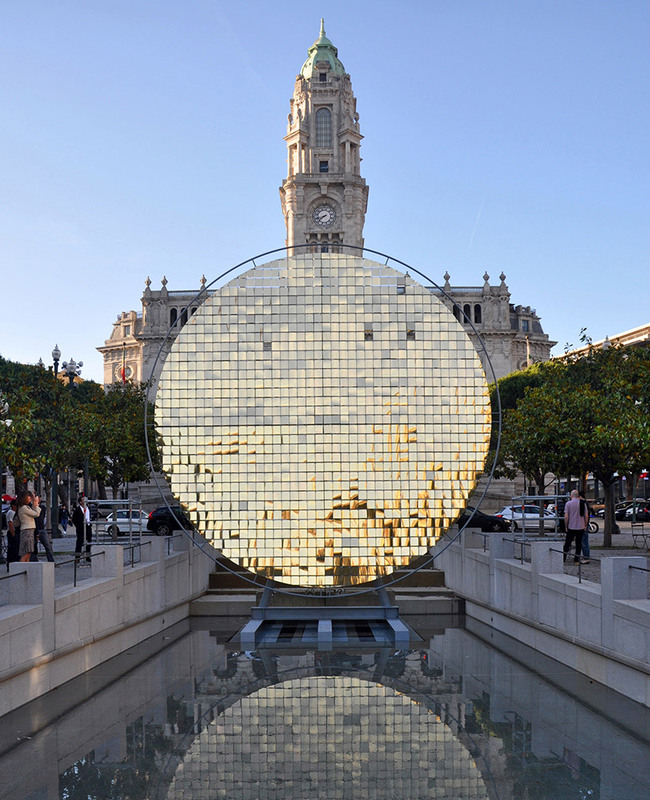 Portuguese-Italian collective Moradavaga have built a shimmering sunwheel for the annual Festa de São João do Porto (Festival of St John of Porto) in Portugal. 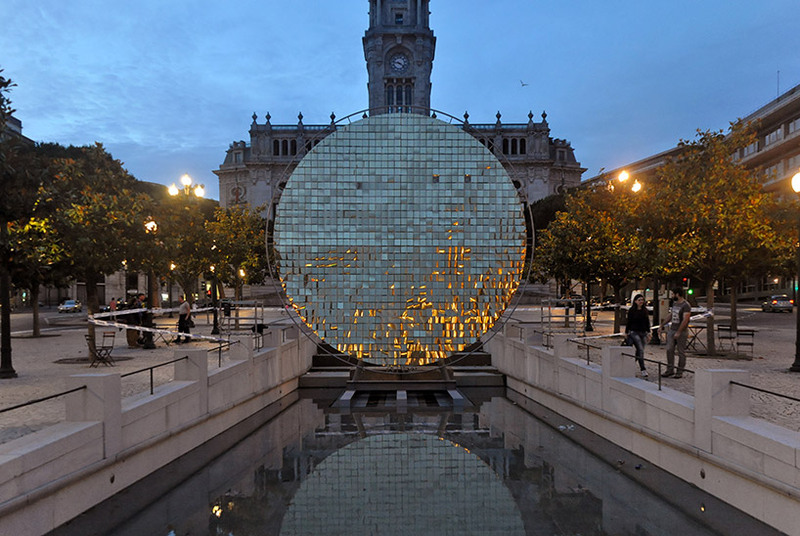 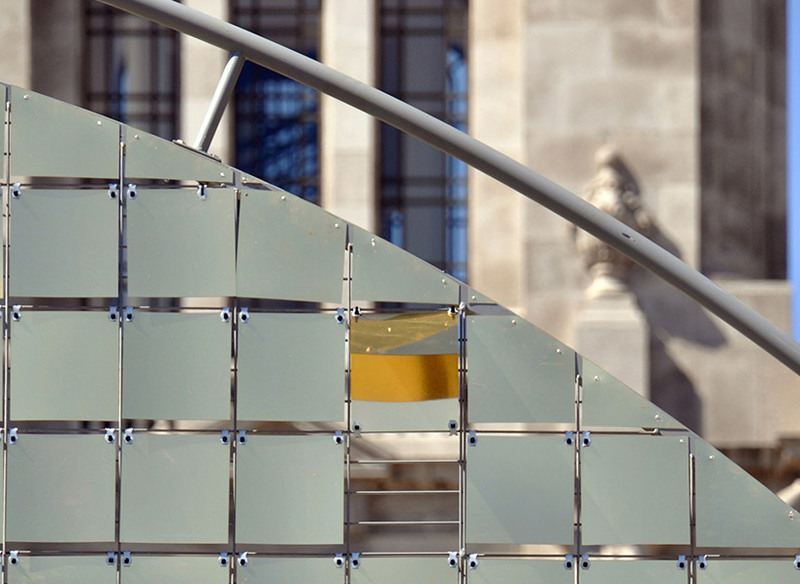 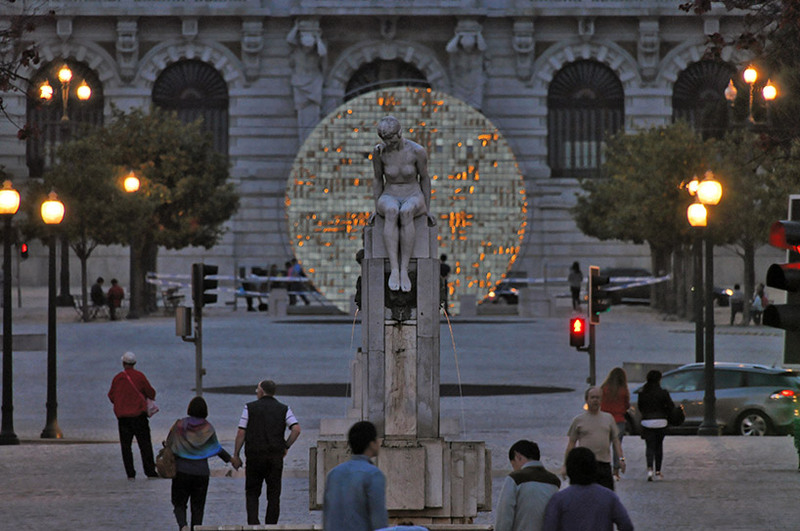 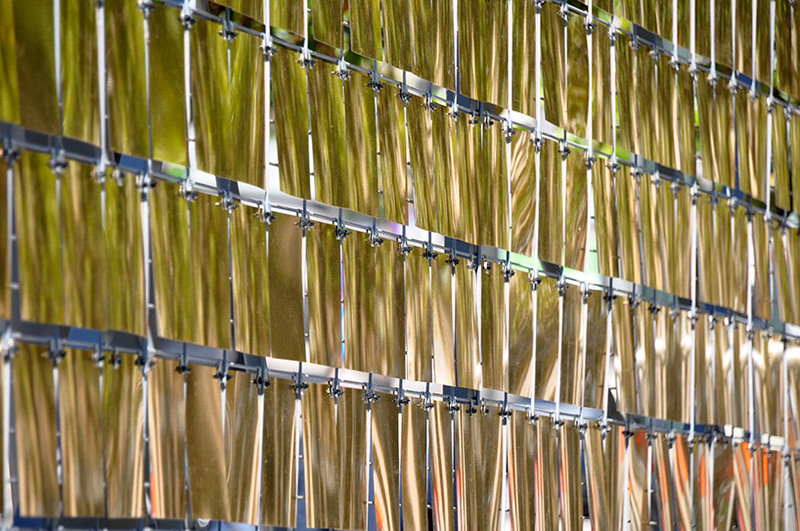 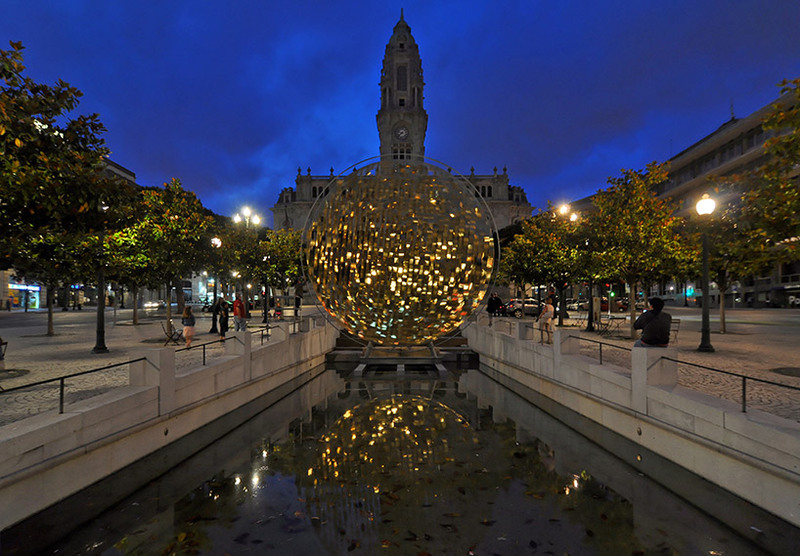 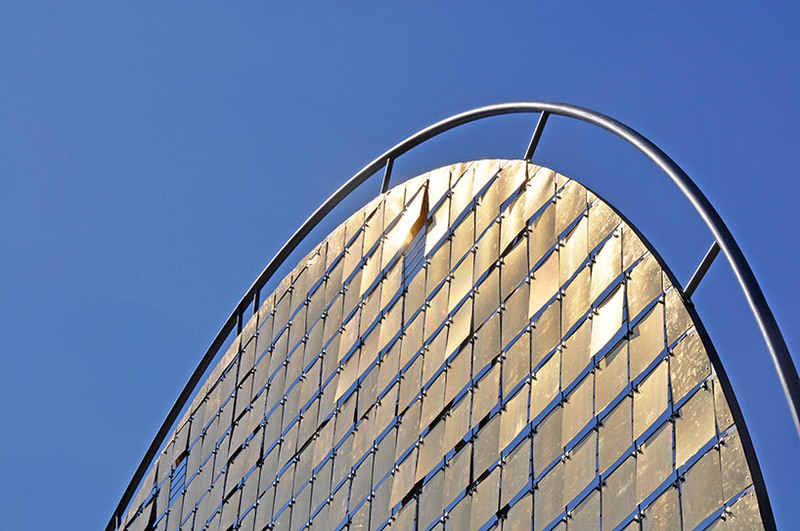 Measuring eight meters in diameter, the piece is the result of hundreds of gold plates, fitted together in such a way that they move independently according to changes in wind and light, as well as rotations manually controlled by passersby. 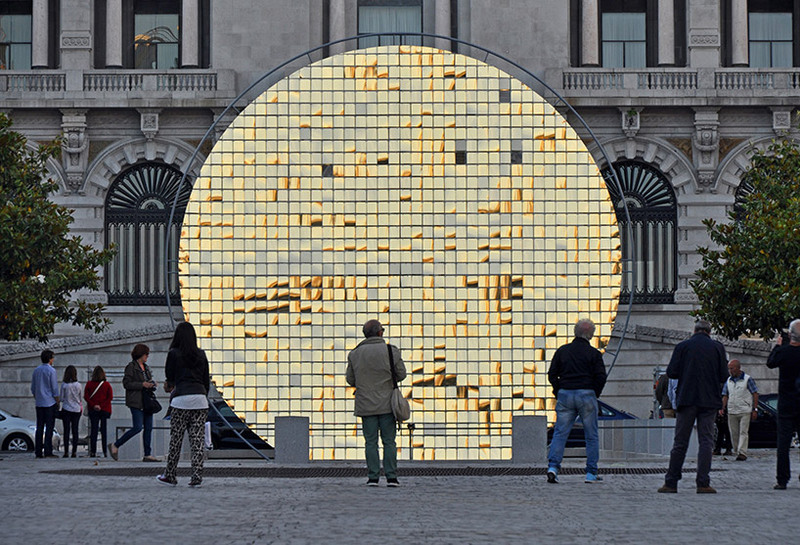 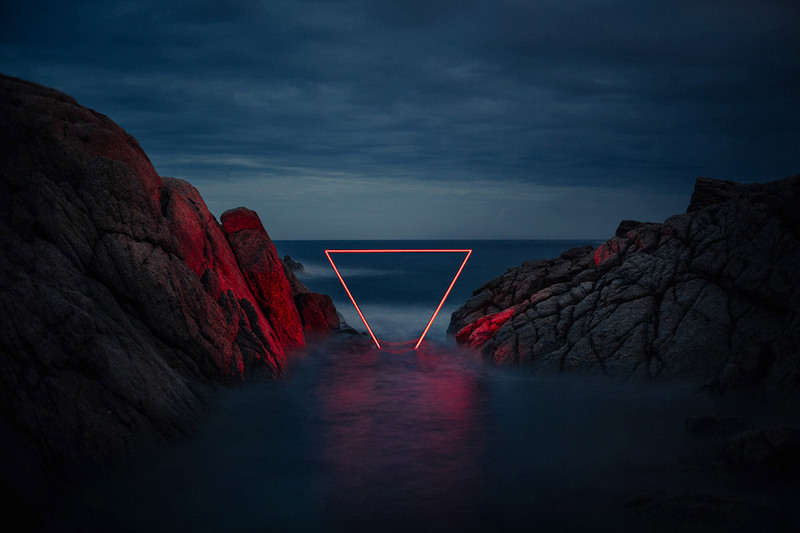 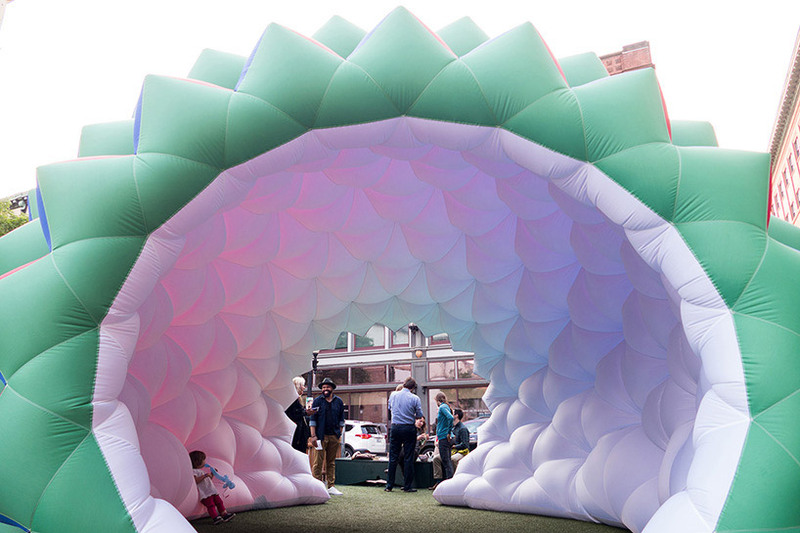 See more images and video of the reflective installation below!